The best 100th issue comic book covers, part 3 | 'TAIN'T THE MEAT… IT'S THE HUMANITY! 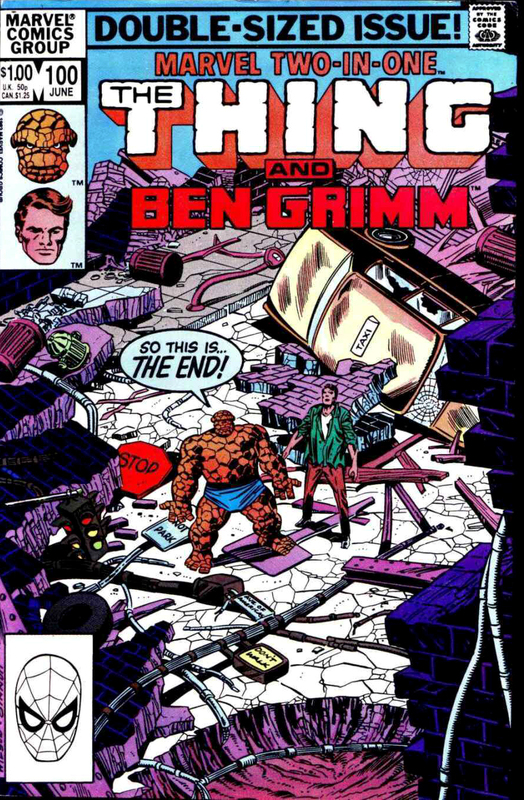 The 100th article celebrations conclude here at ‘Taint The Meat with my final selection of the best 100th issue comic book covers. As with the previous two articles (part 1 and part 2) I’ve chosen covers that both celebrate and exemplify the comic in question. 100th issue covers have always held special significance for me and I’ve had great fun revisiting these landmark issues. It’s been particularly interesting to see how inventive the covers can be while adhering to the five different styles I discussed in part 2. 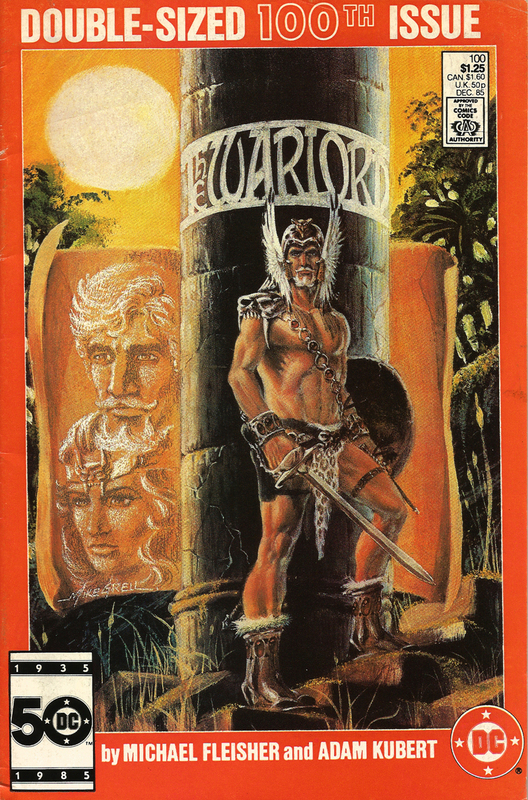 Created by writer and artist Mike Grell The Warlord originally formed part of the DC Explosion range of titles. However, unlike many of the other titles in that series that saw quick cancellation this sword and sorcery title would endure for over a decade. 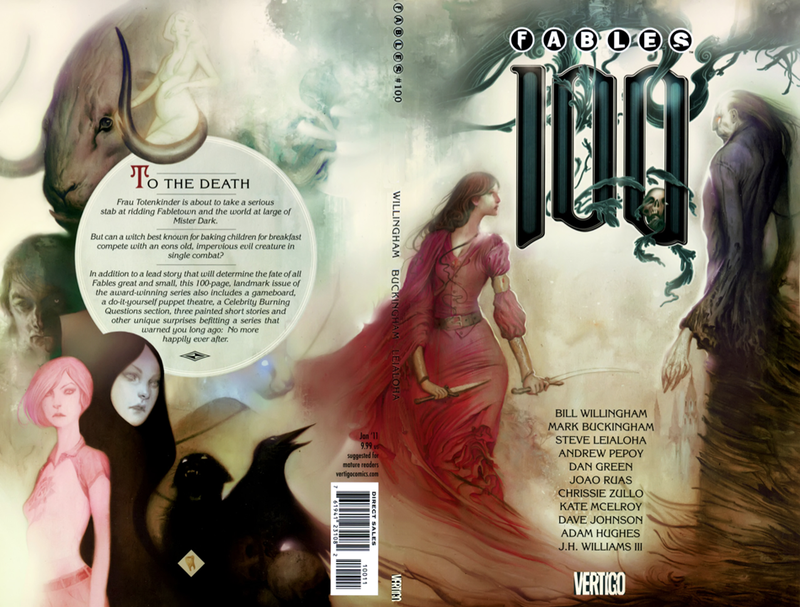 Although Grell stepped away from the title after issue 71 he returned to paint this striking anniversary cover. Although painted comic book covers are now commonplace in the Eighties they were rare enough to attract attention, which this one still does. Series creator Erik Larson pulled out all the stops for this 100-page anniversary issue, which featured 11 stories, as well as a host of pin-ups, by some of the industry’s biggest names – Jerry Ordway, Bill Sienkiewicz, Walter Simonson and Frank Miller to name a few. The cover featured an eye-catching faces-montage and is clearly a jubilant homage to Marvel Comics. Great stuff. 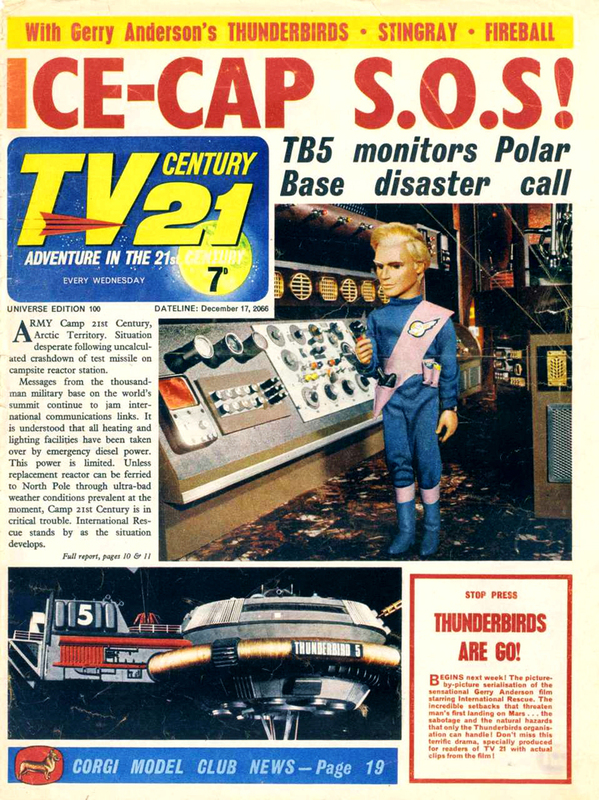 This weekly British ‘comic from the future’ featured stories and strips based on Gerry and Sylvia Anderson’s hugely popular stable of TV shows, including Thunderbirds, Stingray and Fireball XL5. Created as a pastiche of a daily newspaper, the title featured the cream of British artistic talent, such as Frank Bellamy, Ron and Gerry Embleton and Ron Turner. Although largely unknown in the US this comic had a loyal following here in the UK, and looking at this wonderfully evocative cover it’s easy to see why. 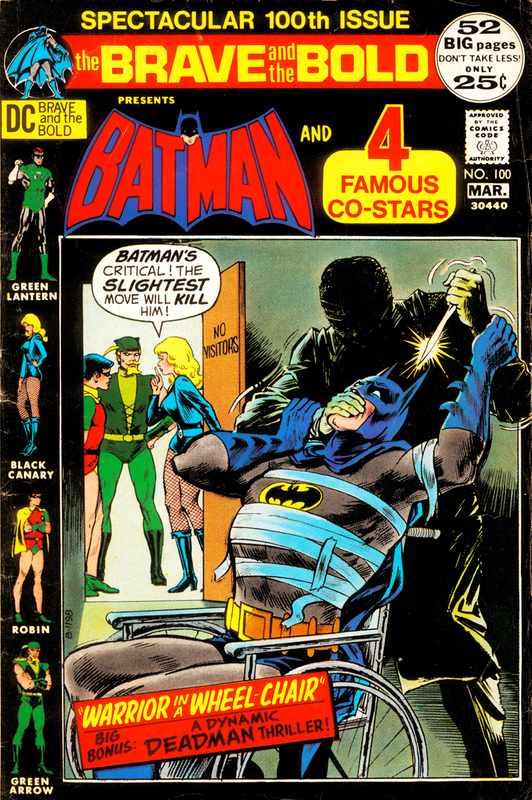 DC’s long-running team-up title (it saw publication for almost 30 years) hit its 100th issue with this dramatic and tense cover by Nick Cardy. Instead of being paired with just one other DC star Batman shares this anniversary issue with Green Lantern, Black Canary, Robin and Green Arrow. Why none of them can see he’s in trouble despite standing only 10 feet away is beyond me. 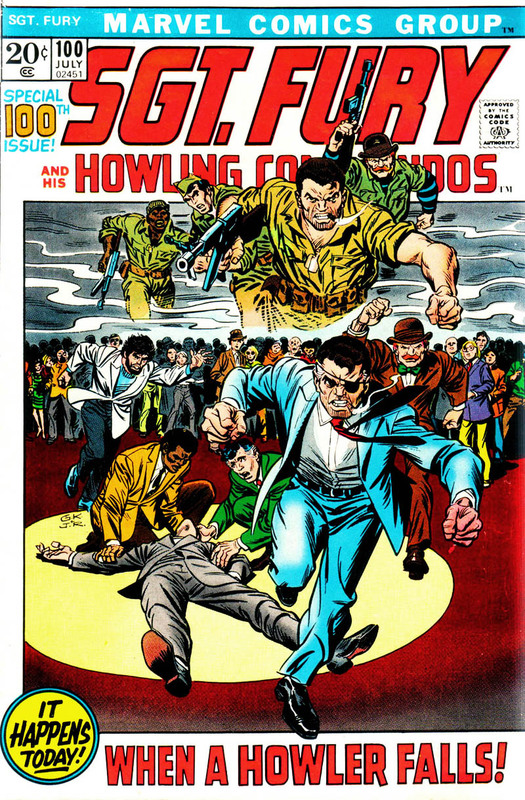 The World War II action comic jumps forward to 1972 for an odd issue that features Stan Lee hosting a roast for Fury and the Commandos to help celebrate the comic’s 100th issue. Despite the strange premise the cover is a great one with artist Kane dramatically depicting the heroes in their past and future incarnations. 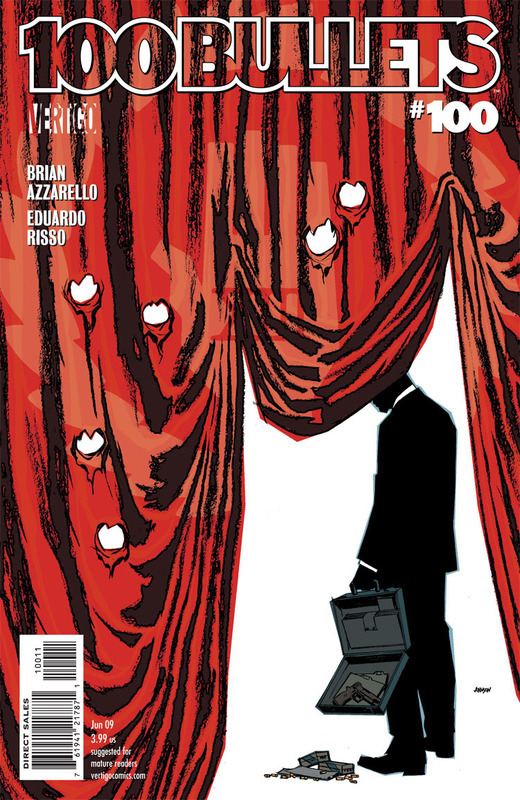 Brain Azzarello and Eduardo Risso’s noir revenge comic reaches its 100th and final issue with the curtain literally falling on series protagonist Agent Graves. A simple, elegant image that perfectly suits the tone of the title. perfect image for this landmark issue. 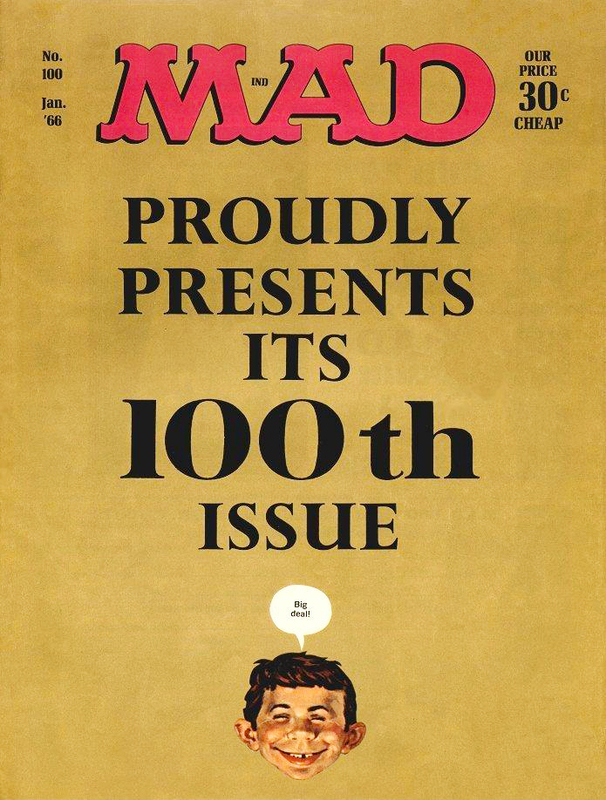 The long-running satire title (still in print today) hit it’s 100th issue with this typically self-depreciating, yet nonetheless iconic, cover. Notorious, hugely influential and bloody funny, Mad almost defies definition. It’s the King of parody and long may it reign. To be honest this isn’t really that great a cover and I’ve included it solely for sentimental reasons. I was a huge fan of this comic when I was a kid so this 100th issue always feels quite bitter-sweet to me as it was the last issue in the series, hence the somber cover. genuinely saddened by it’s cancellation. This is the last cover in this selection, and to be honest I’ve only included it as an example of how not to do a 100th anniversary cover. 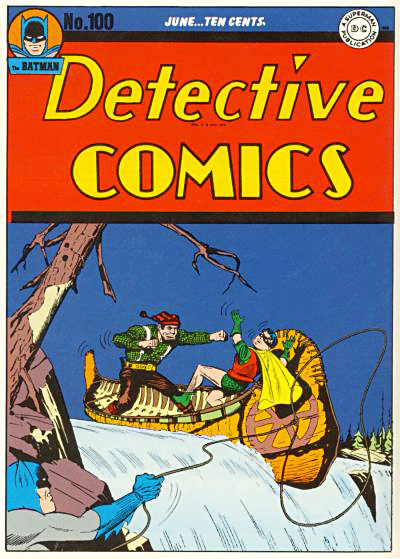 Despite being a milestone for the comic book industry Detective Comics‘ 100th issue sports a sadly lacklustre cover. No attempt has been made to draw the reader’s attention to the issue’s landmark number, there’s no text selling the story and Batman is hidden away in the bottom corner. 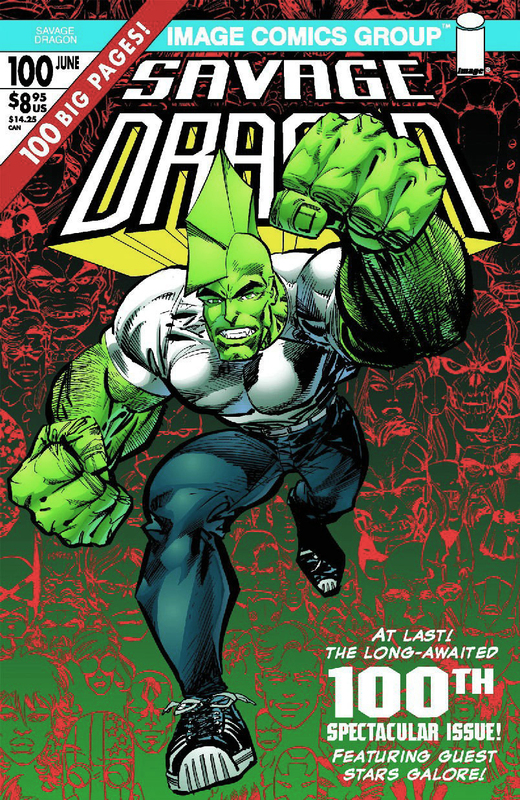 What should have been a celebratory edition, similar to Superman and Batman’s 100th issues, is instead a disappointing damp squib. And those are my choices for my favourite 100th issue covers. There were a few that almost made the grade – Alan Davis’ foldout cover for Legion of Super–Heroes, for example – that had to be dropped for want of high quality artwork. I’m tempted to take a closer look at some higher number landmarks, 250th or 500th issues for examples (although I suspect they’ll be very little to choose from) – we’ll see. In the meantime I hope you’ve enjoyed my selection.